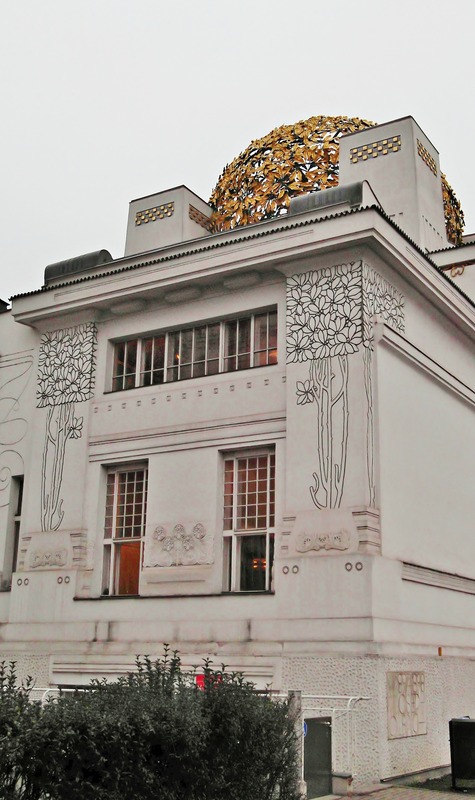 The Art Nouveau Movement’s Exhibition Hall in Vienna, which is mostly referred to as Vienna Secession Building, was erected in 1897, supervised by its architect Joseph Maria Olbrich. 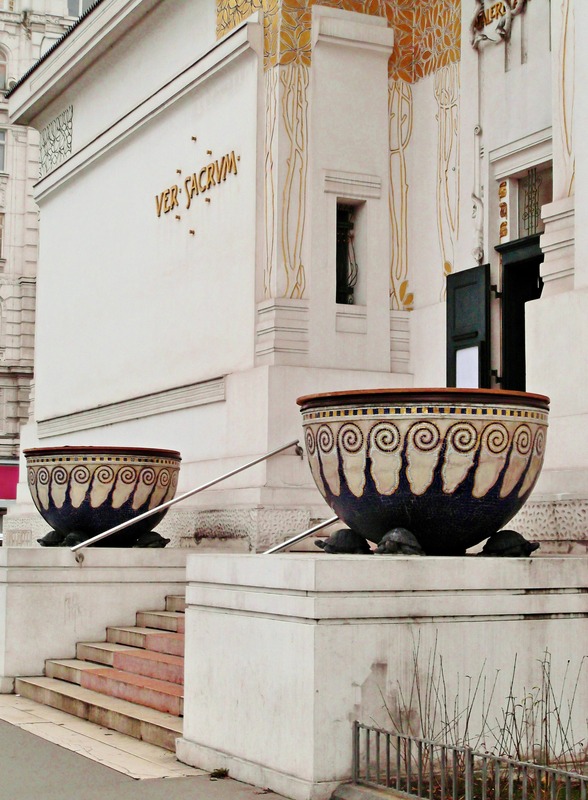 At the end of the 19th century, a group of young Viennese artists seceded from the long-established Association of Austrian Artists and founded a group of their own, which they called Vienna Secession (Wiener Secession). 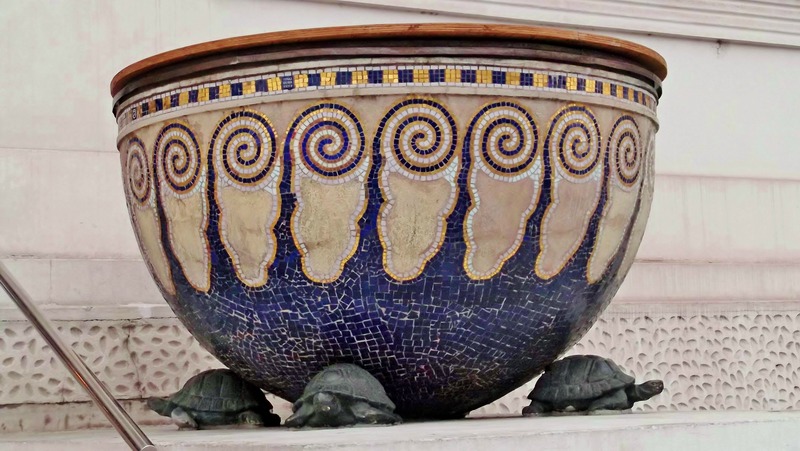 This new art movement, which was similar to other Art Nouveau movements in Europe, was critical of the traditional confines of art as it was taught at the renowned art academies. At the time, the prevailing artistic style was conservative and retro-minded. This traditional approach restricted the artists in their choice of artistic style and subject. In painting and sculpture, a true-to-life depiction of “classical” motifs was promoted, especially biblical, mythological or historical scenes. The trendy style in architecture was a melting pot of all previous styles, often put together in one building. This conservatism in art was later referred to as Historicism. However, the young secessionist artists objected strongly to this uninspired concept of art. They wanted to express themselves in a new, young way, and to create an original art style that wasn’t a mere copy of former styles. 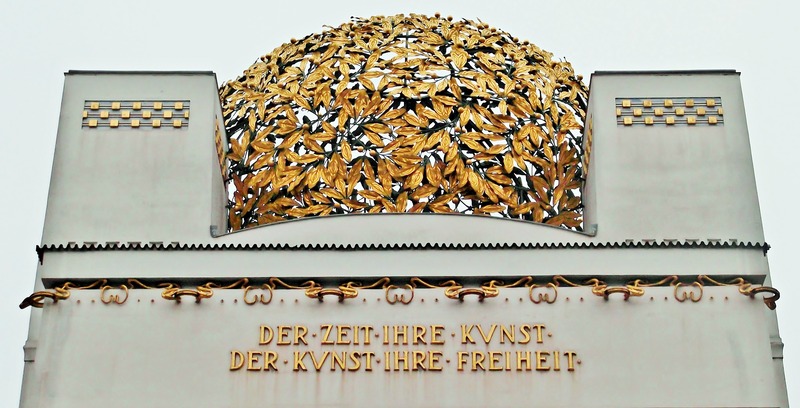 The new Secession movement was founded by artists like Gustav Klimt, Koloman Moser, Josef Hoffmann, Joseph Maria Olbrich and others. As they weren’t allowed to show their art in traditional exhibitions, they had to organize some on their own. And the first step was an exhibition hall. 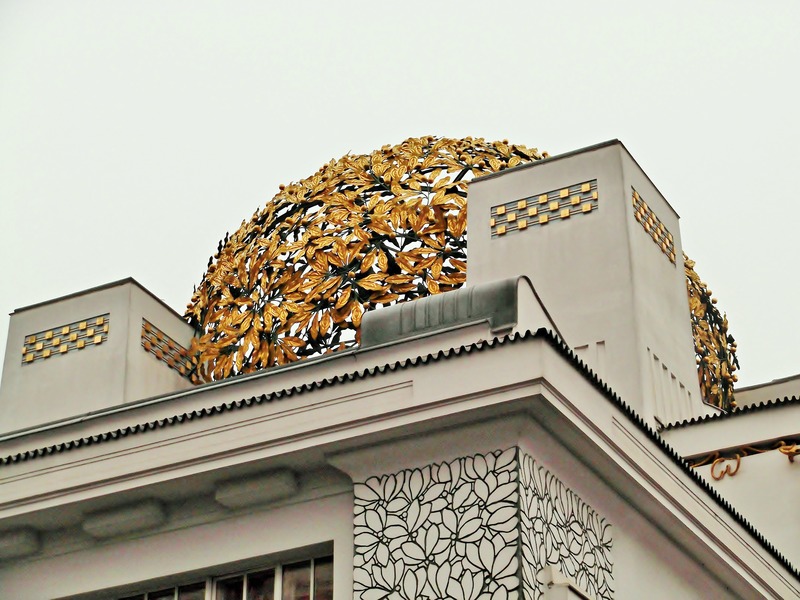 This Vienna Secession Exhibition Hall became an icon of the new movement and is used till this day as a showroom for modern art. The gilt laurel leaves of the dome became the building’s identifying feature. The laurel leaves are a recurring pattern and can also be found on the pilasters and the wall. Above the entrance, you see depictions of the three Gorgons, which are female creatures of Greek mythology, named Stheno, Euryale and Medusa. Their hair consists of living, venomous snakes, and they turn anybody who beholds them to stone. They were common attributes of Pallas Athene, the godess of wisdom, victory, and the crafts. 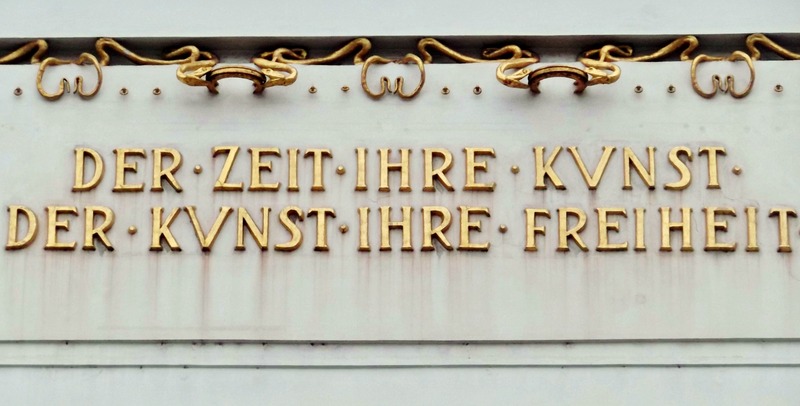 The inscription above the Gorgons reads in German: Der Zeit ihre Kunst, der Kunst ihre Freiheit. In English: To every age its art, to art its freedom. This sums the whole movement up and can be understood as its manifesto. 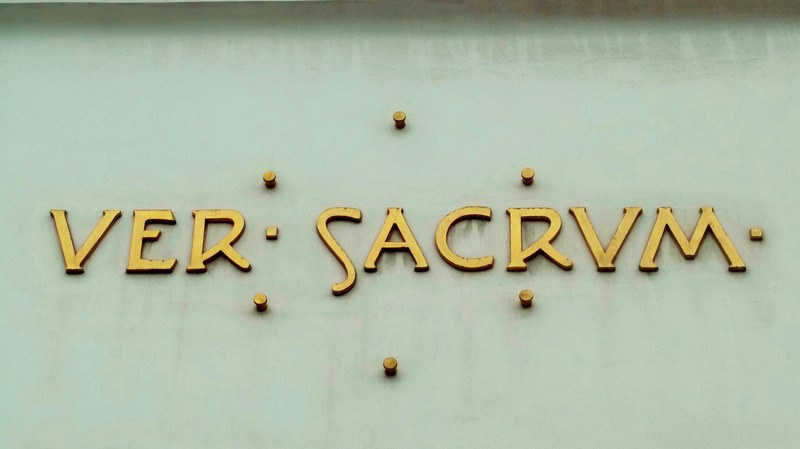 Ver Sacrum (Sacred Spring in Latin) was the name of the movement’s magazine. 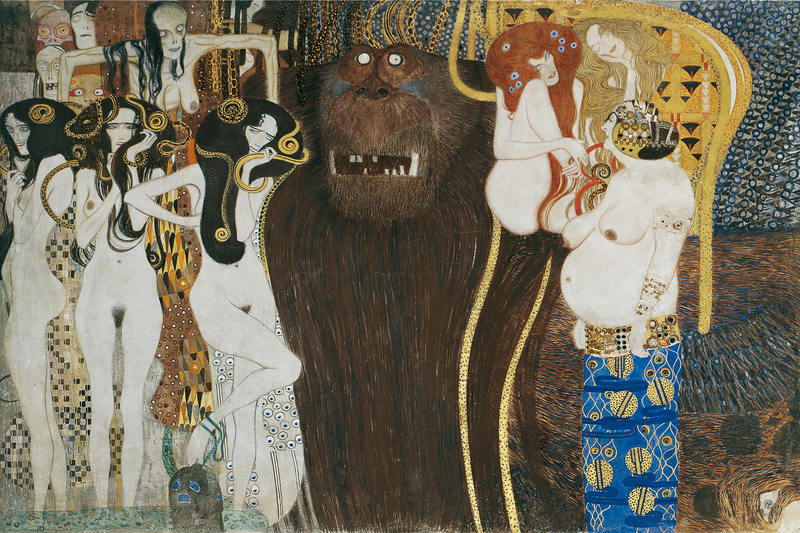 Inside the building, you’ll find not only exhibitions of contemporary art, but also the famous Beethoven Frieze, a painting by Gustav Klimt, dedicated to the composer Ludwig van Beethoven. As I couldn’t take photographs of it, I’ll show you a detail from Wikipedia. „Beethovenfries“ von Gustav Klimt – First uploaded to de.wikipedia by de:Benutzer:Hans Bug.. Lizenziert unter Gemeinfrei über Wikimedia Commons. What a wonderful post! Thank you so much for sharing. You’re welcome. Keep up the wonderful blogging. Hello again 🙂 Yes, I’ve had little time the last six months. But it’s better now and I’m determined to pick up regular blogging again! Gorgeous photos of one of my favorite buildings ever. I haven’t been inside, though. I’m not really a fan of contemporary art, but I’d love to see that Beethoven frieze. Thank you, I haven’t been inside either 🙂 I just had one day in Vienna and wanted to see so many things, I didn’t have enough time to go inside. Next time, I hope! The outside of this building is certainly a good indication of what’s inside. What a spectacular façade. I love the roof dome made of twinge leaves. What an unusual feature. Thank you again! Several years ago, I started to visit all Art Noveau/Art Deco places while traveling. I really love the perfect details, the curved lines. And Gustav Klimt is a classic! A stunning post, – well-researched and with beautiful photography. Thank you! Loved this post and your website. What a wonderfully researched and beautiful resource you have built here. Well done!! Thank you! I’m looking forward to your next post! 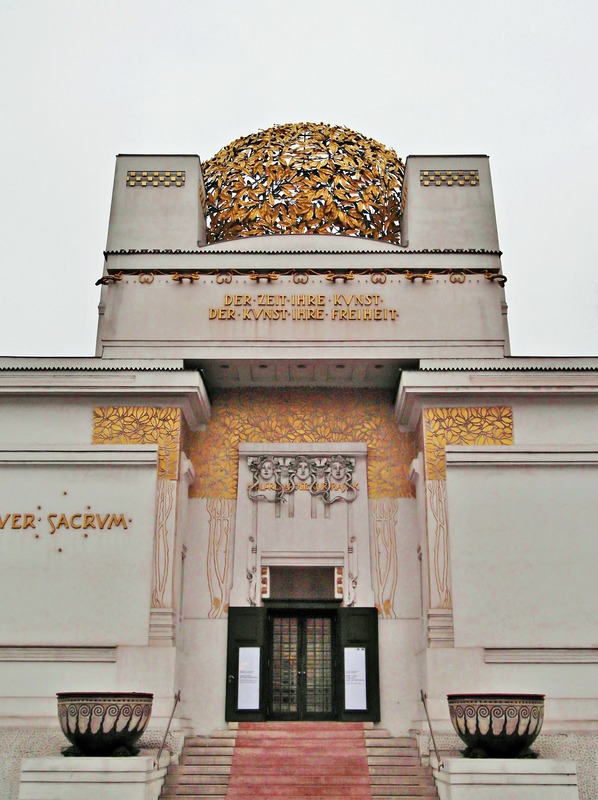 When I first visited Vienna I was merely 8 years old, and we were there for 3 days, so I didn’t get a glimpse of all those lovely Secession buildings (and particularly this one). When I visited again 12 years later I got myself a guide book and read all about it. Of course I was fascinated because I love architecture. I hunted down all of the buildings that the guide had! Too bad I didn’t have a digital camera or a blog back then…but I have some printed photos somewhere! Maybe that’s a good reason to go to Vienna again. This city is so full of interesting things, it’s always worth another trip. 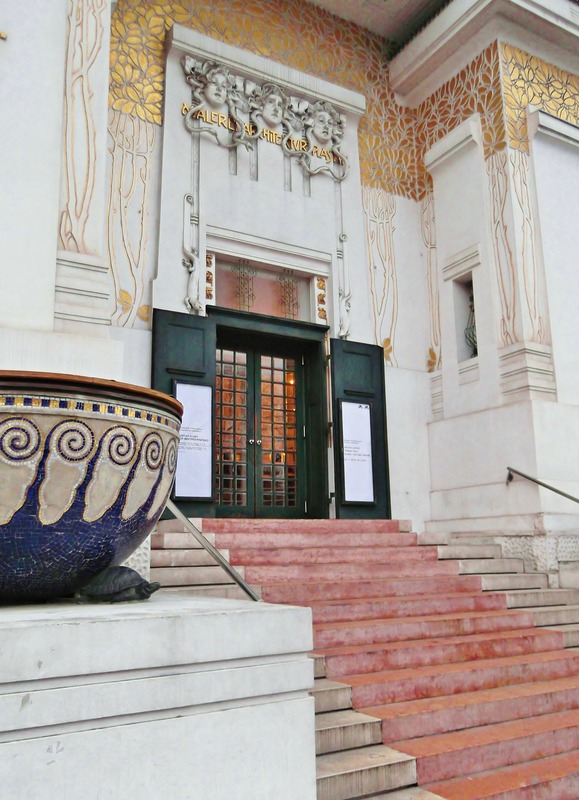 Have you seen Klimt’s paintings in the Upper Belvedere Palace? KleesButterfly, as an Art Nouveau fan, I enjoyed delving into these details of the movement in Vienna. Past visits to Vienna have been short – it seemed we were always en route to Budapest – but I’d be happy to explore this exhibition hall someday. My two times in Vienna, we did always manage to stop at an Old World-café, enjoying a slice of a Sachertorte, and hot chocolate or coffee. Delightful!